The seventeenth is our longest par 3 and challenges a strong finish from any golfer. 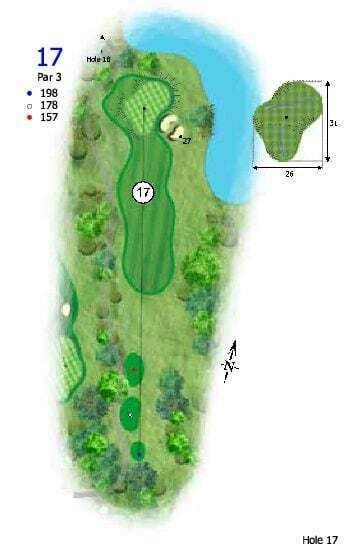 This hole requires a long iron or wood to reach the undulating green that is supported by two bunkers on the right side and grassy shapes on the left. The seventeenth is certainly the hardest par 3 at Emerald Lakes and achieving Par on this hole will be a job well done. Play it safe on this long par 3, hit towards the left side of the green which will put you in good position to make par.